Are you ready to fight? Which side will you be?? 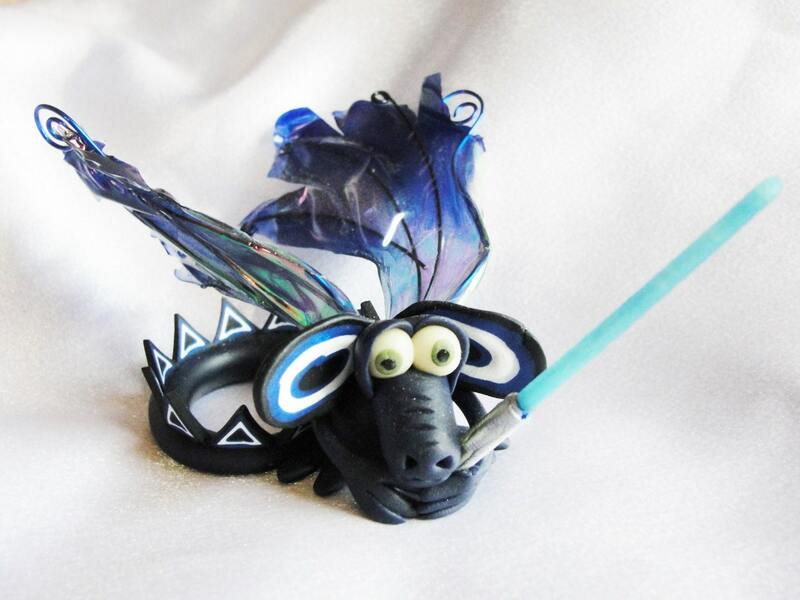 This listing is for one Jedi Blue OR one Sith Lord red Dragon that is made to order so they will differ from the photos and can be customized to make it truly a one of a kind! PLEASE make sure you tell me which one you want in the notes portion of the order. 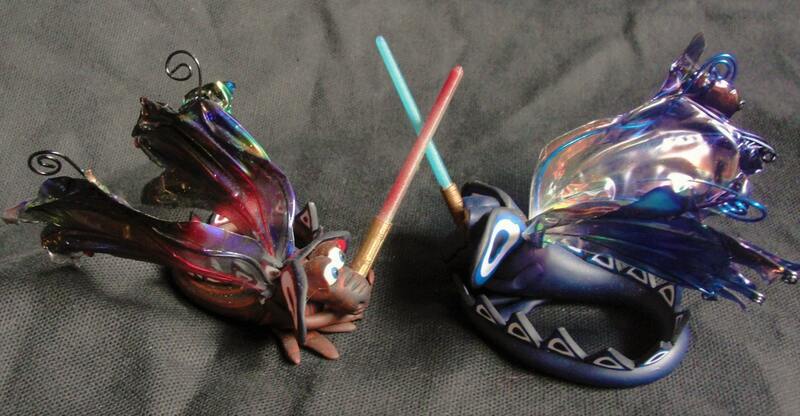 They stands at about 2" tall to the top of the wings (to the top of the light saber it is more like 3") and about 3 3/4" long from nose to wing tips. Made of black polymer clay with blue or red mixed in. Scales are also black, white and blue or red. Glow-in-the-dark eyes (your choice of color, if you do not tell me then I will make the choice for you) and light saber which was 3d printed then painted with a silver or bronze handle and a light coat of blue or red color. 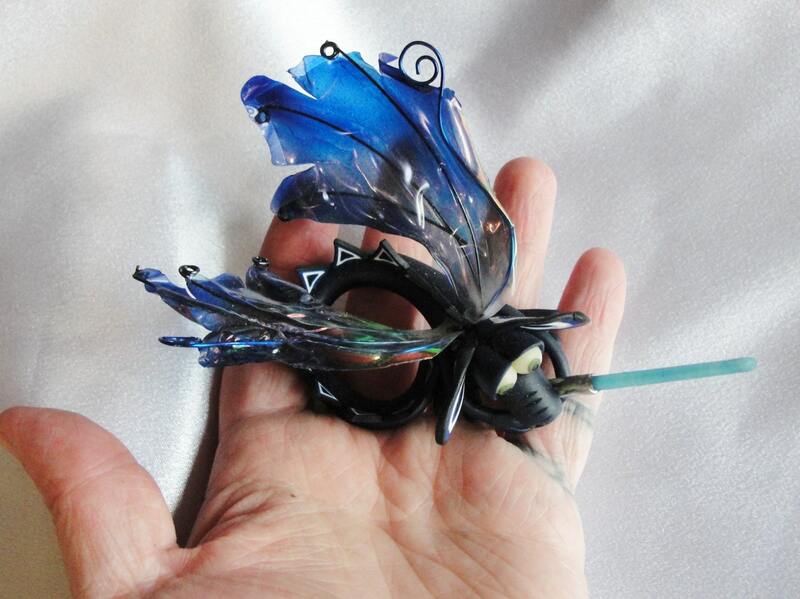 Wings are made with black wires and a really cool iridescent fantasy film that gives off a multi color shine and then I paint black on the tips. 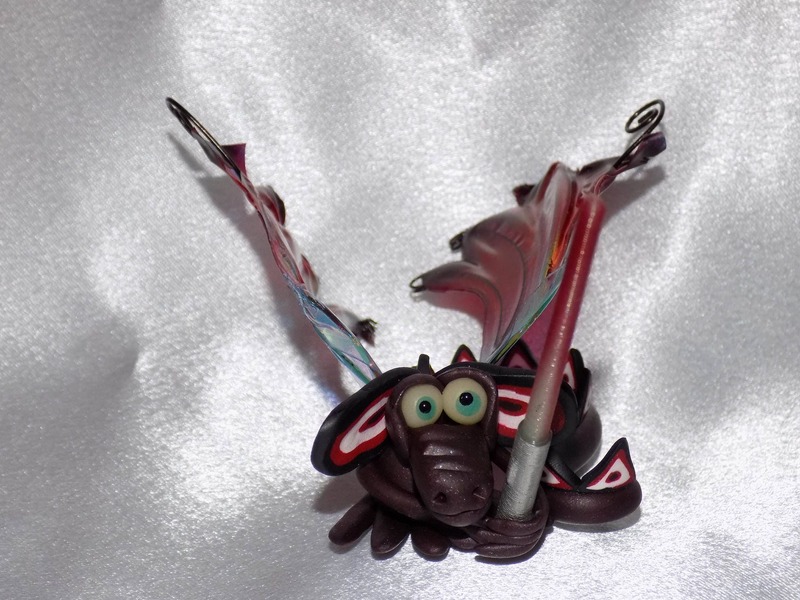 This is a made to order dragon, on average it takes me 2-3 days to make them ready to be mailed, but may take up to a week. If you need it rushed I can try but you need to convo me and see what the options are. **This listing is for ONE dragon only, if you wish more than one please convo me for a special price. I will ship outside the US, just contact me for a price (for they are changing daily). 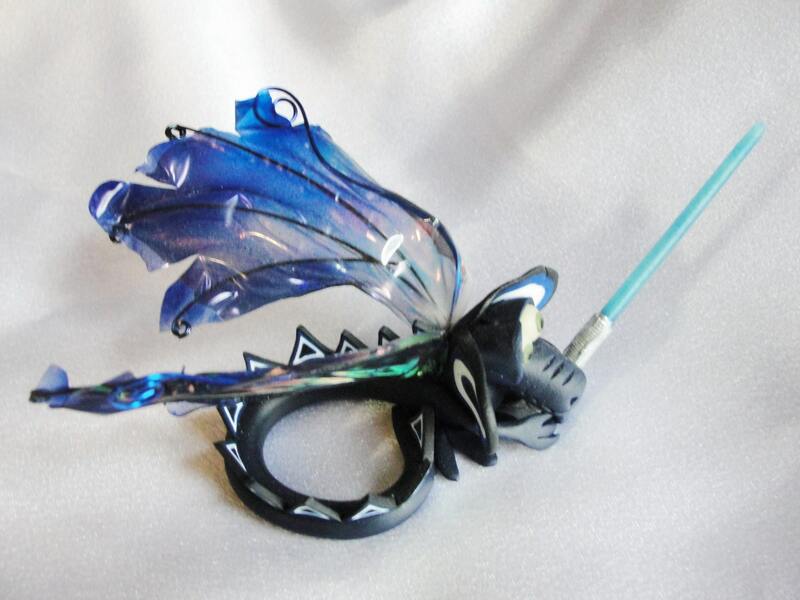 I love to get ideas from other people for my next dragon!